The considerable problems posed by the illicit trade in tobacco products are widely recognised, yet agreeing on how to provide an effective solution is still the subject of deliberation and delays, writes Nicola Sudan. Nicola Sudan is general secretary of the International Tax Stamp Association (ITSA). The illicit trade in tobacco products is both a threat to government finances and to public health. 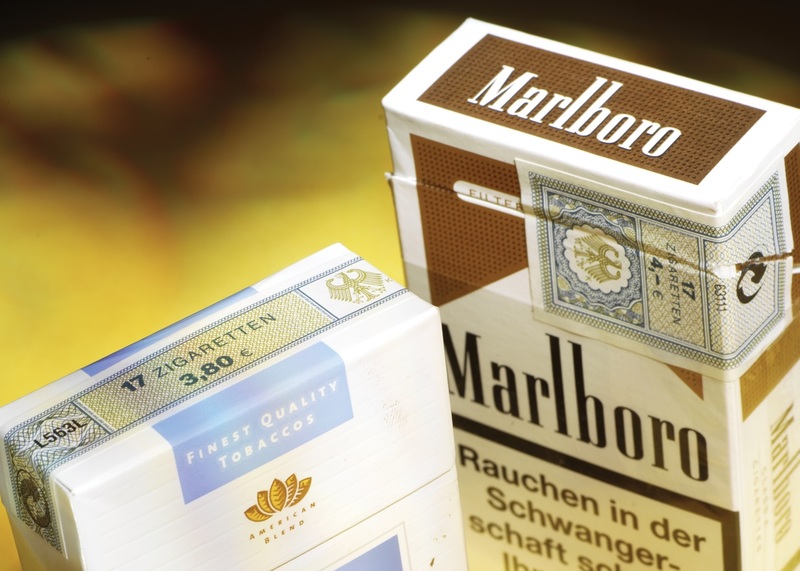 To illustrate the extent of the problem, KPMG’s Project Sun estimates that over €11 billion each year is lost in duty by EU tax administrations to illegal tobacco sales. Some estimates based on aggregated national figures are even as high as €17bn. This illegal trade also poses a serious danger to public health because it increases access to often cheaper tobacco products, fuelling the tobacco epidemic and undermining control policies. Against this background, high level measures have been proposed, discussed and, in some cases adopted, to combat the issue. In all situations it is accepted that the traceability and security of tobacco products are key factors in achieving effective control of the cross border supply chain. The EU Tobacco Products Directive (TPD) endorses this approach with Articles 15 and 16 setting out the fundamental requirements for tracking, tracing and security measures needed to improve distribution control throughout the supply chain. As part of this ongoing process, the European Commission recently published an Inception Impact Assessment which is designed to help in the development of the traceability and security standards required in the EU TPD. However, contrary to this aim, ITSA is concerned that the latest report runs the risk of reopening old debates and considerations with no apparent justification. As a result, further delays in implementation seem inevitable, with the increasing likelihood that it will be difficult to have a working system in place by the May 2019 deadline. The beneficiaries of this situation will be those who have resisted real controls, and those who benefit from the status quo and the continuing high level of illicit trade. In particular, there is concern that the latest report appears to be inconsistent with the previous reservations on established tobacco industry coding systems that were expressed in the original EC-commissioned feasibility assessment study. It also appears to be in conflict with the recently ratified WHO Framework Convention on Tobacco Control (FCTC) Protocol to Eliminate Illicit Trade in Tobacco Products. In this respect, it is worth noting that EU ratification was supported unanimously and every single EU Member State voted in favour. This means it has legal relevance in all Member States, including those who have not yet signed the Protocol in their own right. It is therefore concerning that the Impact Assessment appears to be at odds with some of the basic requirements of the Protocol. For example, Article 8 of the Protocol makes it clear that the track and trace system to be put in place should be controlled by statutory authorities (Parties to the Protocol) and not be performed by or delegated to the tobacco industry. This requirement alone seriously puts into question the legitimacy of the latest suggested options, some of which are based fully or partly on tobacco industry operations and systems. Overall, ITSA’s position is that only a combination of authentication and tracking techniques, such as those already used by governments in successful national authentication and traceability programmes, can effectively meet the traceability, security and anti-tampering requirements of the EU TPD. After all, the situation is abundantly clear; the high rate of tax on tobacco products makes them especially attractive to illicit traders. The risks and costs are high and effective security solutions are merited, so surely the €5 tax on a pack of cigarettes should warrant as much protection as a €5 note? Of course, digital technology is essential to track and trace systems and the management of high volumes of data, but coding technologies also have vulnerabilities and in high risk situations a further layer of security is essential. As a result, ITSA believes that truly robust solutions must combine material and digital security technologies – a view that is recognised in both the WHO FCTC and the EU TPD. This sophisticated union of physical and digital features is essential to ensure that the combined objectives of authentication, sealing and traceability are achieved – and is something that pure coding technologies are not able to do. ITSA is fully in favour of a competitive environment and open tendering. However, this should also allow the introduction of a system that does not discriminate against the smaller tobacco producers. On this point, if there is to be no single EU track and trace system, the most important thing the EU IT experts need to do is define the technical standards that need to be applied to ensure that different national systems can speak to each other in real time and act as a single virtual system. It is only with the real-time sharing of data across borders that some of the key benefits in fighting illicit trade will be felt.